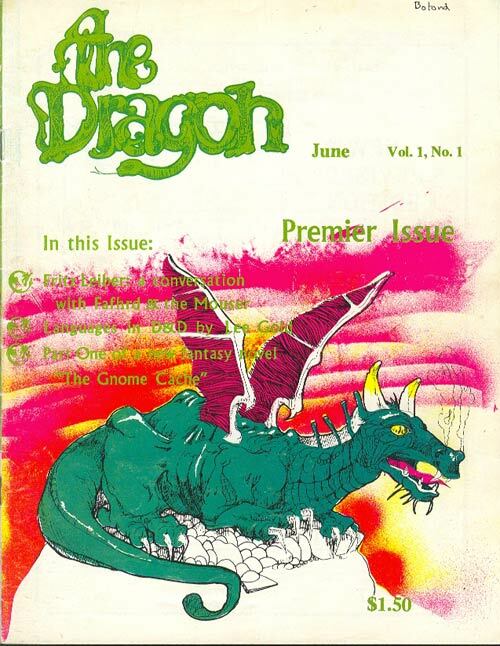 Dragon magazine first saw print in 1976, giving readers of a pre-internet age tons of rules, spells, items and information regarding Dungeon & Dragons. It gave the world the Forgotten Realms, and it gave Elminster a place to teach readers about ecology. It was a source of information for players who craved more than their game books could give them, and gave its space to many of the best writer of the genre to showcase their stuff. 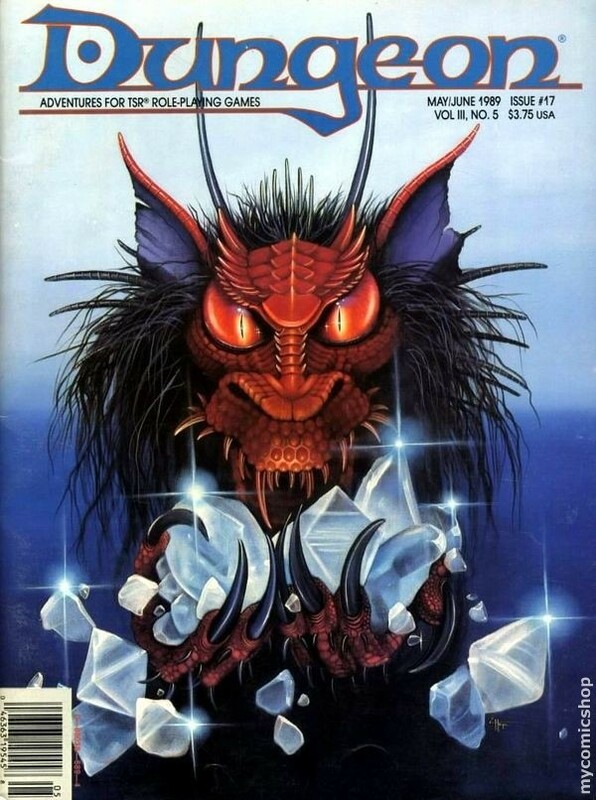 In 1986, Dungeon Magazine followed, providing DM’s with modules, adventures hooks and ideas, while in later years providing full adventure paths spanning entire campaigns. 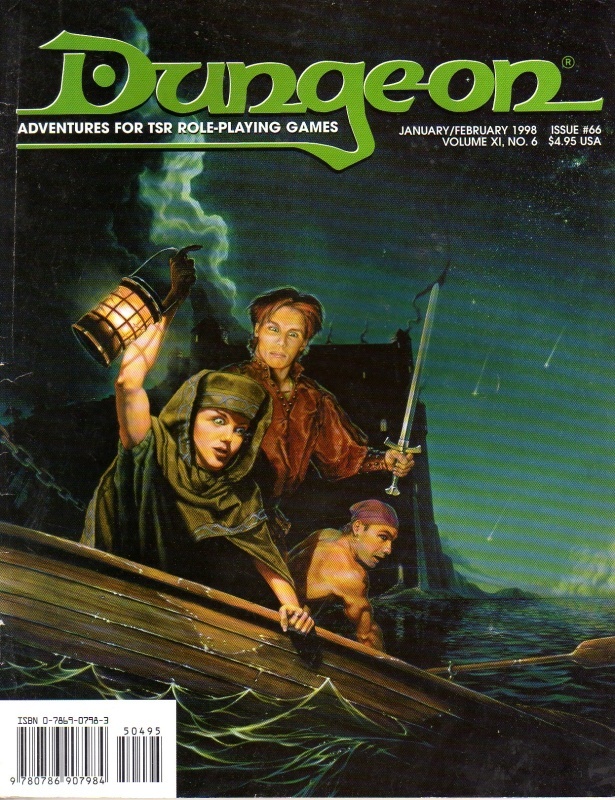 As its sister publication did, this magazine was a way for fans of D&D to connect with their game when their hardcovers or already played modules just would not do. Even in my years away from D&D, a trip to the bookstore always included picking up and leafing through Dungeon and Dragon magazines. They are part of the history of D&D, and today they are no more. Dungeon and Dragon are effectively dead. While some will argue that they died when they left print for digital, at least WOTC attempted to keep the semblance of a magazine alive, maintaining the issue number order that was left from the print days, and releasing a completed digital issue at the end of the month. Until now. Dragon has become a section on the WOTC website, with articles released under its banner. Dungeon has suffered the same fate as well. Full issues will no longer be compiled. At this point, they may as well get rid of the issue numbers and covers. What’s the point if you’re not going to release it as a compiled digital magazine pdf? It’s a blog called Dragon. Not a magazine, not even a digital one. Pieces of tabletop gaming history have left with a whimper, and we hear about it as a small mention in an Ampersand column. And this was just one of many more announcements out of Wizards of the Coast yesterday. Miniatures are also dead. The last set that shipped a few months back will be the final one, unless they decide to release specialty sets like the Orcus mini or the Beholder set. I could probably say with certainty that many of us saw this coming, but it still a bit of a sad piece of news when you hear it officially from the horse’s mouth. While I am not one to buy cases and cases of minis, I can appreciate the fact that many D&D players enjoy collecting and playing with minis and this announcement brings that aspect of the game to an end. At least in as far as pre-painted minis with a D&D logo on them go. So yeah, clearly there’s something going on at WOTC. Perhaps they are under a lot of pressure to make some numbers, and shedding some of these things is the natural way to go. But guys, Dragon and Dungeon both deserve a better send off than what you gave them. C’mon now. I kinda find it an annoyance that WotC isn’t releasing Dungeon and Dragon as compiled magazines anymore. I know that they based the decision on research that said that the majority of readers read the articles individually rather than as a magazine, but I typically download every full magazine which is convenient. While I understand their reasoning behind the decision, they were already releasing articles individually while providing the option to download them as one file. To me, all they are effectively doing is removing the option to download all the articles in a convenient way. Not to bash WotC, but this is a bit of an annoyance for me. Ok, I’ll say it: D&D-by-WotC is entering its TSR phase – I won’t be one bit surprised if D&D is sold wholecloth at some point in the next 5 years. Instead of grousing about the demise of Dragon & Dungeon as digital magazines, why not focus on all the digital and print mags that are being published. You have old school mags like Fight On! and new ones like Kobold Quarterly? Because the point of the article is to talk about the death of two pieces of gaming history. Is there a link to the announcement? I thought I kept up on thing through their blog but your blog was the first I heard about it. “Death” may be a bit of a melodramatic overreach. Certainly in the case of the magazines. They’re actually INCREASING content under both banners. As a long time reader on the forums, this is something they’ve needed to do for quite some time. The content is fully digital and therefore, it was necessary to recognize how users were consuming it. I’m nostalgic about the magazines too, but lets be realistic. Holding on to a business model for nostalgia isn’t good for anyone. Some people called them dead when they went digital only, about that you are correct. However, had they not gone digital, they would truly have died. Likewise if Wizards doesn’t provide content in a way that is useful to the consumers of that content, they will die. I think it’s clear they’re struggling to find those sweet spots, but this magazine publishing change is them continuing to try. The minis will be missed, but mostly by people who didn’t buy them anyway. Their sales numbers have fallen steadily. And, if this opens up a space for another company to provide them, all the better. I’d rather have a company step up into the space(given there truly IS a market for it) than have Wizards half heartedly support a product line that is losing them money. If there IS a market for it, someone will step up. Nobody wants to leave money on the table. If there isn’t a market for it, well, thats’ too bad, but what can you do if people don’t buy a product, nobody is going to try to sell it. For me the minis were about having a beholder not an eye monster. A beholder looked like the art in the MM, so all I needed to do to be sure everyone understood my description was plonk the mini down. There are a lot if quirky DnD monsters that were only ever going to released by WotC. Sadly that is no more. For some models there are Reaper pre-painted, but some things can only be WotC due to copyright or trade mark. The magazine thing is more a nuisance than anything else. Compiled issues were convienient for storage and later retrieval and it made getting the final article easy. WotC is going to have to make their website work a lot better to make this change work. This isn’t a D&D thing. This is about the death of previous technology and the growth of new technology. This is one of a million print magazines that went under with the advent of the internet. They’re not the first and they’re not the last. If it was that important to gaming, more people would have bought it and it would have been profitable. Basic economics say it isn’t. We can lament about the old days but as Dylan says, the times they are a’changin’. The idea that WOTC released monthly complications of the articles they released each day of the month never made sense to me. I’m sad about the minis too, but it was an expensive hobby I don’t mind losing. I have something like 1400 minis and all of them were bought on the secondary market because the business model WOTC tried to use never worked. You can see how it failed by seeing just how we bought them. I’m also pretty happy with the inclusion of PC and monster tokens. I think it’s a much more economical way to get into the hobby. Sad? I suppose, but again, if it was that important, the business model would have succeeded. I mourned Dragon when it left Paizo and went all-digital. I have a nigh-complete set of Dragons from issue #79 all the way to the end. A couple of issues have been lost to the ages. I was fortunate as a kid in that my grandmother had a tradition in which she bought each of us a magazine subscription for our birthday each year. When I was 13(? ), I had outgrown the National Geographic World magazine, and asked her for Dragon instead. Despite her having no idea what it was, she got it for me. No matter how bad finances got for my wife and I during our post-college years (and they got pretty bad), my wife made it a point to find money for me to renew my subscription every year. When I grew away from D&D, I considered dropping the subscription. I wasn’t really even reading the magazine any more. I was very glad I didn’t, though, as I drifted back to D&D and had the issues to pick up again. I totally understand WotC’s reasons for moving to an all-digital format. But, for me, that was the end of the magazine. And an end to a part of my childhood. The loss of both Dungeon and Dragon from the print stands was a huge loss. Since then they have languished behind a paywall and suffered steadily decreasing content quality. As the months moved on, both Dungeon and Dragon have become exactly what WoTC saw them as – collated web content, nothing more. What they have uniformly failed to see was that both print magazines served an essential purpose. They provided a means for the curious non-D&Der to take their first inquisitive steps into the hobby. Several of my players came to it just because they saw a kickass cover on the news stand, bought the mag and became hooked. The White Dwarf magazine is still going strong for exactly this reason; it is an all-important draw to the hobby for new players, as well as a constant source of information for existing Warhammer players. Dropping the print editions also cut off a massive potential under-18 player base. 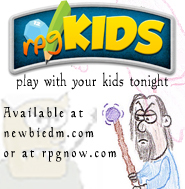 Not many kids own credit cards, let alone are able to pay for a D&D Insider account. If they can’t buy it, they won’t play it. With just a copy of the rules and a semi-regular fix from a copy of Dragon or Dungeon, they game could stay fresh. Moving to what is effectively an adults only target market was arguably Wizards of the Coasts’ biggest mistake to date. And let’s face it, they’ve made some doozies. Dungeon and Dragon have been dying a painfully slow death for a while. They have languished without oxygen or much in the way of support behind closed doors, starved off the casual-but-faithful customer base they so need. No magazine (online or dead tree) can rely entirely on subscriber-only support for revenue. Especially not magazines that were originally created to support and promote the hobby itself. Putting them out of their (and our) misery was, perhaps, the only humane thing to do. They will be sorely and sadly missed. Rest In Piece, Dungeon and Dragon. 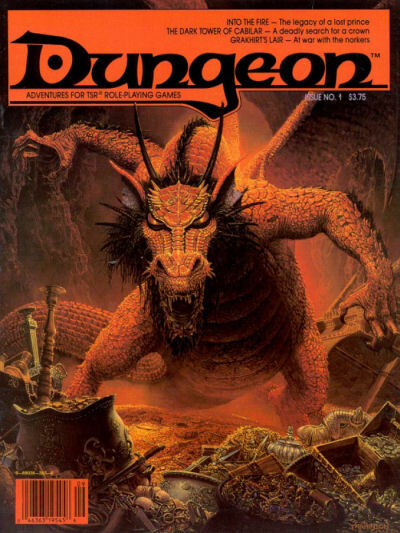 Being of the age to have a stack of old Dragon Magazines that I purchased from the newsstand in the 80’s, I lamented the loss of the print ones as well. I also lament the continued loss of other forms of media in favor of digital content. Don’t get me wrong, I’m about as far from a technophobe as you can get and I consume a large amount of digital content. But few can argue that the old format Dragon magazines were always different than mainstream magazines. They were tomes of great stories, entertainment, advice and artwork that just doesn’t come across in the new format. As far as the decision to stop making minis, I’m not sure how much impact that will have so long as WotC allows other companies to make minis using their themes. Most of the older metal minis that I own came from companies like Ral Partha, not TSR. My hope is that this will allow WotC to concentrate on making really great gaming materials and let someone else make minis who’s better equipped to do so. Reading my own comments and its clear I didn’t get the point of the article. I think Dungeon and Dragon probably deserve more of a eulogy than they gave it. It won’t surprise me if the ampersand article was just the first mention of it and we’ll hear more in the future. With the vast history they have, they do deserve more. I’d like to see a yearly dungeon and dragon anthology like they did last year only with the R&D-filtered content they’re talking about. WOTC desperately needs more one-night adventure compilations like the Dungeon Delve book. This would be a way to do it. Although I download Dungeon and Dragon, all the individual articles are all sorted into categories on my D&D directory, I won’t miss the compiled articles at all to be honest. I too have a collection of Dragon and Dungeon mags (got almost every single Dungeon), but they will probably be sold off / given away / dumped because I don’t use them. I started doing a spreadsheet on the articles so I could find articles relating to a topic I wanted to read about (eg say, urban druids) but it was just too big a job. It was just too much info and no effective way of finding what you wanted. Kind of like the internet without a search engine. For organisation, the individual electronic articles is the way to go for me. It seems that the only voice we have against wotc is our pocketbooks. No more shall I spend my money on D&D, Magic, or any other product that they produce. Dragon and Dungeon have been dead to me ever since WotC announced they were killing the print versions Paizo have been putting out. To me, a magazine is a printed thing; an e-zine is NOT the same thing. As for D&D Minis, their distribution was crap in some of the large sets and quality has been up and down so much, I could care less; I’ve been buying them on the secondary market for almost 2 years now IF I actually need another miniature. The themed sets are a good idea, though (the Beholder set is pretty frickin’ cool). Now that the market is saturated with thousands of Abyssal Maws and deformed goblins, I think a lot of DMs want to be able to buy specific monsters. Reaper’s pre-paints, though small in number, are much higher quality. I’m really sad about the loss of the updated magic item book. Does this mean new players can only access updated magic items from behind the paywall? Or are magic item card booster packs the next big announcement, ala Omega Tech in Gamma World? I forget to get out to the site to read the individual articles, but loved to download the compiled version to keep with me and read as time allowed. It’s a shame that they are not going to do that now. Some one mentioned the word blog, and since they have decided to move away from the complied PDF I would actually prefer that they move away from PDF’s at all. If what we are left with is really just web content, then make it web content. As for the mini’s I have not bought them in years, and I was not really thrilled with the tokens from Essentials. I wonder what comes next? 4e really is based on the use of miniatures for game play. I wonder if we will not see a continued move towards cards? maybe plastic tokens in the style of the cards from Pirates of the Spanish Main? A token with some stats or fluff on the rest of the card? I must admit that since I have no ongoing 4E campaign, I’ve not been paying attention to the Dungeon and Dragon articles that have come out recently. I acknowledge and appreciate the legacy they represent, but the electronic compilation (when I was reading the articles) was irritating. I think greywulf makes an excellent point about cutting off potential new customers. I’m very confused by WotC’s marketing strategy. On the one hand, they’re promoting D&D Encounters to get new players interested, but they also seem to be insulating the existing customer base behind a subscription plan. I admit I know very little about marketing and branding and such, it just seems strange to me. I do think Dungeon and Dragon should get a better send off, but DDXP is coming up soon. I’m waiting with somewhat baited breath to see what comes out of that. I truly hope that this is not the beginning of the death knell heard at TSR back in the day. 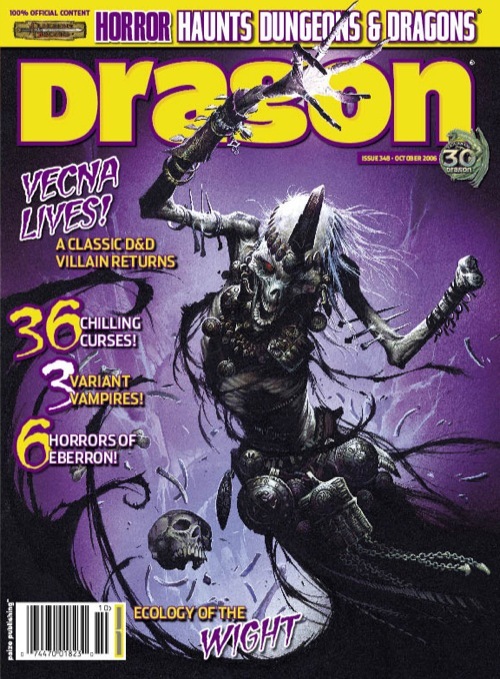 I’m sad to see what’s essentially the end of Dragon and Dungeon as anything approaching magazines. Hopefully they’ll be able to significantly ramp up the content since they’re also dropping three books (including the Class Compendium I was looking forward to) from their schedule, but I’m not going to hold my breath on that. They definitely deserve a better send-off, but I get the feeling WotC’s just likely to stick their fingers in their ears and go ‘la-la-la, they’re not gone’. They really need to get it into their heads that they don’t do a good job of communicating meaningfully with the player base and never really have. As for minis . . . I guess that’s kind of a bigger deal for a lot of people. Speaking for myself, I’m not that concerned about it. I have a few minis, but I mainly only use them in important fights for important monsters. Until now, I’ve been printing my own tokens which, while it produced a satisfactory result, was incredibly time-consuming. Now that WotC is starting to release tokens with their monster products, I don’t need to do that anymore (or, at least, not as much). They’re saving me a lot of money and time. All this aside, let’s think about this another way. Do the lack of issue compilations and the reduction in availability of minis make the game, itself, less fun? It’s not like WotC is the only place you can get minis for your game, and all of that DDI content is in the Compendium and the online tools, anyway; how often are you going to be referring to that big, compiled PDF? I’m a newcomer to D&D, and have started collecting the miniatures. It’s sad to see them go, but there were some problems with them. I always got strong and exotic miniatures, while my games are usually for low levels in generic dungeons. Miniatures aren’t dead – the line produced by WotC is. Miniatures are a hugely thriving part of the hobby, and heck, even a whole hobby in and of themselves (as evidenced by http://www.coolminiornot.com). In case anyone was unaware, Reaper has a whole line of pre-painted minis – their “Legendary Encounters” line (http://www.reapermini.com/Miniatures/Legendary%20Encounters). And they’re not the only ones. On a recent WoTC podcast, they explained why they have to do randomized minis. Had they not done randomized sets, they would have had to kill the line some years ago. It would be really neat to see WotC release a license to another company that specializes in minis to produce *official* D&D minis. That’s the business model TSR used with Ral Partha. As a DM of a group that uses minis in every game I can say that the worst thing they did was make them random. I do not buy that by doing that they saved the line. The biggest grip we had was not enough of the minis we needed and to many of ones we would never need. They could have done a lot better with them by actually making minis that people wanted. Half the stuff were creatures or hero models that no one in our group have ever used. Frankly, the magazine format as we know it is dieing a slow death. The delivery mechanism has changed to the blog format, and it can work really well. It’s sad, just as the loss of anything is sad, but it’s to be expected. Besides, over time, I believe the blog-style delivery method for all content will become more sophisticated over time. Where Dragon and Dungeon has fallen down since they took it away from paizo is that, as an in-house operation, it stays away from the really wild and creative ideas. At least, it was when I last looked at it. My first gut reaction to all the changes at WotC is that things aren’t going well. But, actually, this may all be pretty good. They’ve been releasing too much content for a while now, and it would serve them well to slow down and focus on broadening their player-base. Look at Essentials. It’s well positioned and designed to bring in new players. New players get overwhelmed by having too many books sitting on the shelf. They could be sinking, but at the same time, this might be the start of major industry growth. NewbieDM, I bet you are like me in that we both read the PDFs as they come out right? You probably don’t wait until the end of the month then download the PDF and then read it cover to cover. While having them as one pdf is nice I can honestly say that most times I forget to go back and download it. At the end of the day I’m willing to bet that the data is more than likely showing that people are not download the final pdfs. So why waste the time creating page pagination charts and cutting copy to fit? This time and energy can be used elsewhere. As someone that works in the publishing industry (non gaming) I would say yes they are still magazines and that content is king over delivery device, be it print, pdf, epub and etc. Saying that Dragon and Dungeon Magazines are dead is a little silly given that they are still here just not as a single PDF. Many publishers would love to do what they doing right now. Your comment actually supports the randomized sales model. Go download the podcast, it’s labeled, it makes perfect sense why randomization makes things much more profitable. 1. It’s hard to predict what people will buy so they end up making way too many miniatures overall in an effort to cover the bases. This drives up the cost per mini for the consumer. 2. People cherry pick certain minis based on their personal campaign buying fewer units over all. 4. Non-randomized minis are harder for retailers to stock because instead of having a small section devoted to random boosters, they have to have a larger display areas devoted to specific minis, allowing people to see what all was available. This means retailers will stock more minis if they are random. Anyway, as others have said, lets hope they license them out because there are some companies out there who could likely figure out a way to make money off them somehow. On the one hand, what you say makes sense. On the other, I’ve never purchased D&D minis because I never know what I’m getting. I would like to see them try a model where, instead of selling individual minis, they sell non-randomized boxed sets. Each set would contain twenty or so miniatures, based around a theme. As a DM, I’d find that very useful, and buy them in a heartbeat. The next step would be to then sell boxed sets to line up with major adventures or other product releases. I have an old issue of Dragon in a box. It was issue 118, I think, with a samurai on the cover. Inside was a cut-and-fold Japanese castle! I built it when it came out, but halfway through the project it was destroyed by Godzilla in the form of my baby brother. About 10 years ago I spotted a copy in a shop and bought it. I’m just waiting to have a permanent place to live, a house I own, to build it. 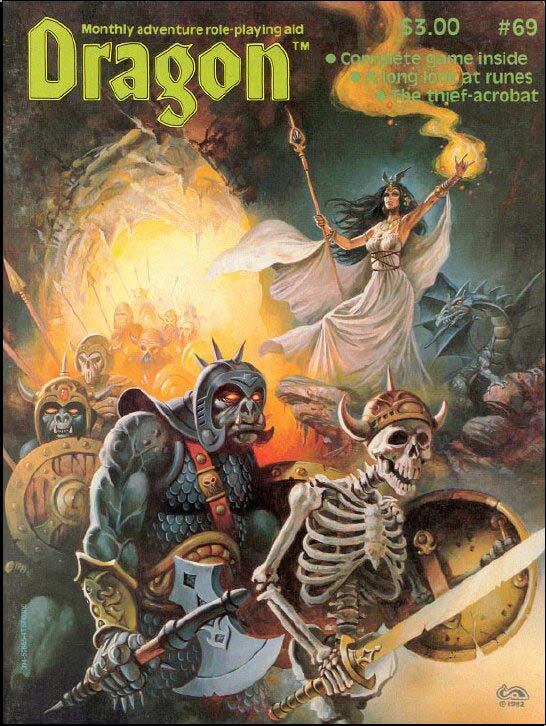 I never really read Dungeon, but I have fond memories of Dragon from that age. The four-page ad for Citadel miniatures in issue… 124? That was the best thing ever, and it really got me into miniatures. It inspired a regular column on miniatures, with reviews and a campaign for us to write to Congress to carve out an exemption from the ban on lead in toys (it didn’t work). I remember when Dragon increased the frequency of the video game column from every other month to every month because of the increasing importance of them. I remember reading the fiction every month, learning what “Palimpsest” meant from one, laughing over a town figuring out how to cook a dragon in another. I remember reading the announcement of AD&D 2nd Edition in chemistry class. It was thick, it was mostly black and white, and it was great. Honestly, I think other commenters make a good point about what a print version could mean. Privateer Press keeps a lot of energy for its product line through a magazine, with new rules and models previewed there. I wonder if a print version of the magazine wouldn’t sell, at least a couple copies a month, to all the people who come in for Encounters. It certainly sounds good, particularly the minis that coincide with a published product release. If they sell boxed sets of 20 minis, how many boxed sets do they make? 2? 4? 10? How many duplicates are in each box? If you want 2 or 3 more minis, do you have buy another entire set of 20? Which ones do retailers stock? What incentive do gamers have to buy minis that are not exactly what they want? The prices are high with that many minis in the box so if they don’t sell, it’s gonna be a big deal. Honestly, I feel bad for those guys, I can’t even imagine trying to make minis successful on any kind of large scale production runs. I just think its a business model better suited to smaller operations with lower profit requirements. Vale, my friends Dragon and Dungeon. Vale. You point out important decisions, but some can be easily answered. You plan out what you want from the beginning. You never repeat miniatures. You make a couple of sets for PCs. In D&D’s case, probably a set for each of the Essentials class books. A set for undead. A set for aberrations. A set for monsterous races. You don’t have to cover everything to make worthwhile products that have a place at every table. I should correct a part of that. You never repeat miniatures across sets. You probably include four of each generic monster type, such as skeletons or orcs. I never got into either magazine particularly, and found them relatively impenetrable. I get my D&D info from here and Sly Flourish anyway; so I can see why they are going to make the content more easily available. As for minis – too expensive. Think of the number of monsters in the monster manual, and think of how many minis you need to represent even just each archetype, let alone individual variation between each of them. Tokens are the way forward in terms of cost effectiveness. It’s a shame, in a perfect world I’d like print copies of Dungeon and Dragon and minis galore; but on top of the supplements released frequently I cannot justify the expense – and as it is invariably the DM who foots the bill more often than the players, I doubt I am the only one. It will be interesting to see if “custom minis” crop up as a cottage industry now that the main man in the market is gone. I never played D&D when the magazines actually showed up in the mail. Making the jump from a combined electronic format to a stand alone article format makes sense. It is how I read it now anyway, so I will see no change. If this was paper to electronic change, I might be more sympathetic to an uproar. But really it was more like euthanasia since they had been dieing a slow death as it was. What has been missed in the conversation though, is the updates. As it was, I downloaded an article when it was posted. I didn’t personally save it. Then I read it, and Discussed it on the forums. Then it got edited when it got compiled at the end of the month and I downloaded the finished product. Now, I’ll have to download it once, then come back to it 2 weeks later to see if it was edited, and then download it again. So with that announcement and the withering number of articles along with the timeliness of those articles I’ve officially cancelled my DDi subscription. I’ll keep playing D&D, just without anymore support from WotC. Your home is valueble for me. Thanks! ?This web site is really a stroll-by way of for all the info you wished about this and didn’t know who to ask. Glimpse here, and you’ll positively discover it. Has anyone seen the new Kickstarter called Itherverse? Some kind of online magazine and Im not sure if it will ever be in print but it seems a lot like the old Dungeon magazine. Do you think it is worth an investment and if so how much? I need a source of tons of small quick adventures and side line treks because my gamers like to play in an open world type of setting not linear and they can sort of pick their own path. I have searched the internet for as much free stuff as I can and already used it and would pay a few $ a month for a good magazine full of material. Thoughts?